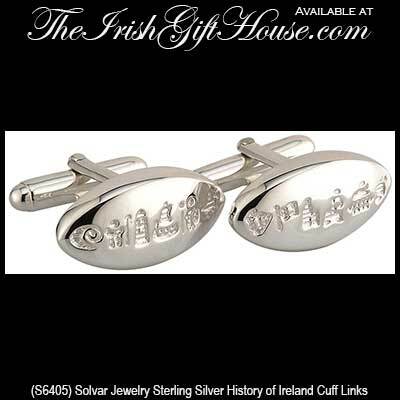 The sterling silver History of Ireland cuff links feature a double hinged design and they measure 3/8" wide x 7/8” long in an oval shape. 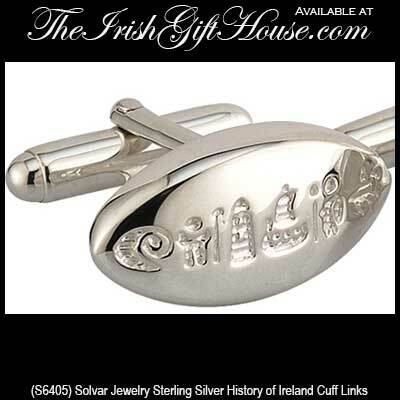 The History of Ireland cuff links feature six of the twelve icons on each sterling silver link and they are gift boxed with the legend booklet that explains the symbolism. 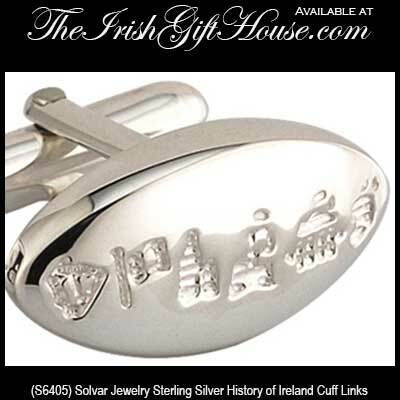 This History of Ireland jewelry is made by Solvar Jewelry in Dublin, Ireland and they are available at The Irish Gift House.